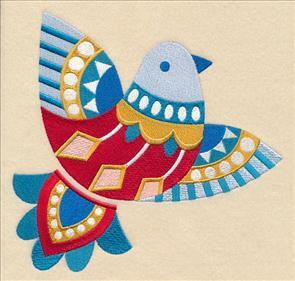 As the snow falls outside your window, celebrate the beauty of the season in your embroidery! 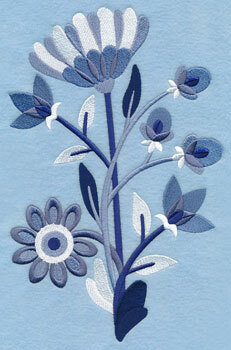 New designs this week showcase the icy colors and Scandinavian style that winter has to offer. 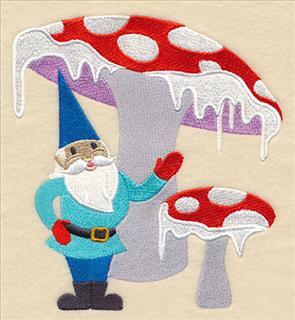 Adorn a quilt with beautiful frosty blue blooms, or add a series of cute winter gnomes to kitchen towels and wall hangings. Wrapped up in winter animals are always a favorite on sweatshirts. 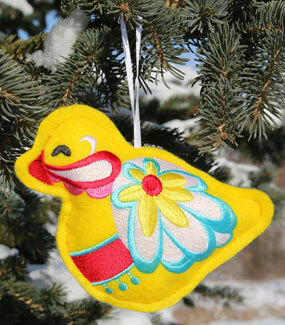 Plus, geometric birds, winter gear, in-the-hoop Dala ornaments, and more! 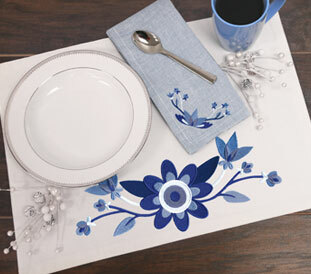 Set a stunning winter tablescape with a linen set adorned with midwinter blues. 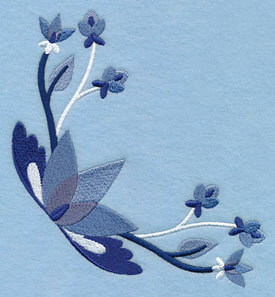 Showcase the beautiful icy color scheme found in the winter with whimsical flowers stitched in various shades of blue and silver. 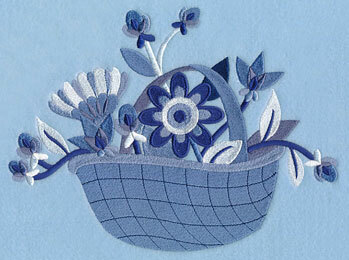 A spray and a basket are perfect for quilts, wall hangings, and more. 6.86" x 10.54" and 5.86" x 9.00"
5.10" x 7.80" and 4.50" x 6.87"
9.29" x 6.85" and 7.81" x 5.75"
7.24" x 5.34" and 6.61" x 4.87"
Stitch this border design on a pillowcase or table cloth -- or pair with matching designs for a stunning combination! 11.75" x 4.77" and 9.85" x 4.00" and 7.80" x 3.17" and 6.00" x 2.70" and 3.85" x 1.57"
Two different borders are available to fit various sizes and shapes of your projects. 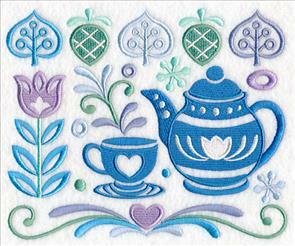 Great for table linens, bedding, and more. 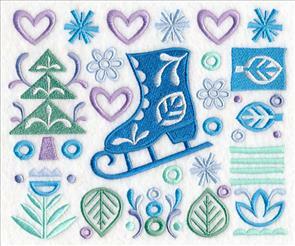 11.76" x 2.02" and 9.41" x 1.62" and 7.81" x 1.34" and 6.00" x 1.39" and 3.86" x 0.71"
Add these gorgeous wintry accents to napkins and pockets! 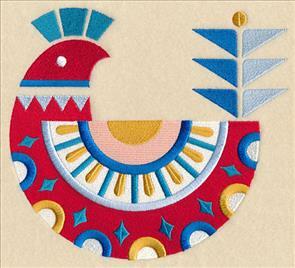 Or, find other ways to use them in this exciting Creative Corners video. 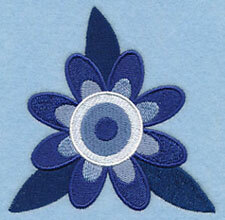 Add a beautiful look to quilts, living room decor, table linens, and more with these beautiful flowers. Get them now in a design pack! 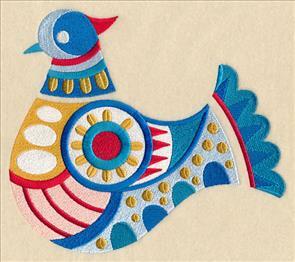 Celebrate the geometric lines and bold color found in Swedish folk art with these winter birds! Whimsical details and eye-catching accents add tons of style. 7.20" x 7.80" and 6.64" x 7.20"
5.84" x 6.33" and 4.85" x 5.24"
6.90" x 7.80" and 6.06" x 6.85"
5.51" x 6.23" and 4.85" x 5.49"
A gorgeous flannel blanket is the perfect place to showcase these designs. Not only does this project feature two layers of cozy flannel, but a handy pocket holds all your necessities, too! 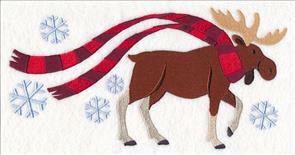 Click here to see how to make this warm flannel blanket. 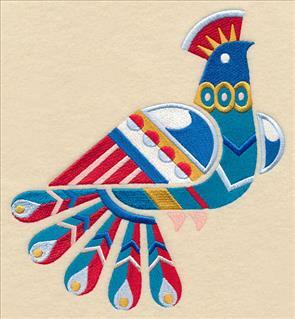 Stitch all six of the birds together on a quilt or wall hanging. 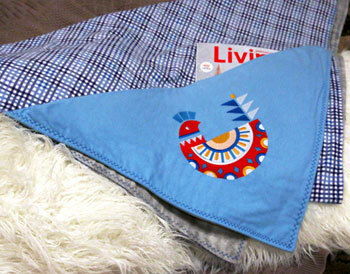 They're especially cute for kids' gear, too! 7.80" x 7.48" and 7.14" x 6.85"
6.06" x 5.81" and 5.06" x 4.85"
7.81" x 7.51" and 7.13" x 6.85"
6.10" x 5.86" and 5.05" x 4.85"
Change the colors of these brilliant birds to match your decorating scheme. 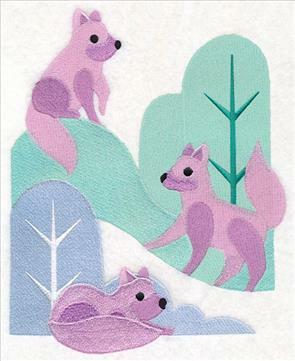 They're great for totes, pillows, and kitchen towels, too! 7.80" x 7.12" and 7.06" x 6.44"
6.42" x 5.86" and 5.33" x 4.86"
7.81" x 6.84" and 7.27" x 6.37"
6.62" x 5.80" and 5.53" x 4.84"
Let one of these birds land on your next project, or get them all now in a design pack. 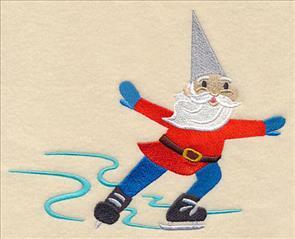 Sweet winter gnomes are ready to enjoy the snowy season in these fun designs! 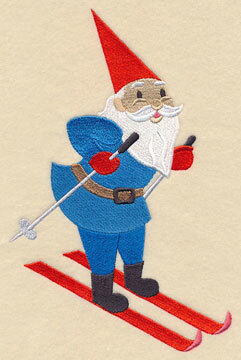 Here a group build a snowman, while a single gnome hits the slopes. 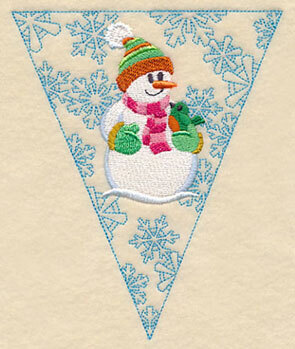 5.86" x 9.09" and 4.41" x 6.83" and 2.49" x 3.86"
Snow, icicles, and more add a distinct cold weather feel to these designs. 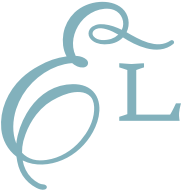 Great on door hangers, kids' gear, and more. 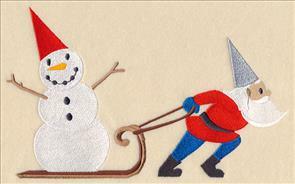 5.47" x 5.85" and 4.53" x 4.85" and 3.60" x 3.85"
Finish off the series of wintry designs with a gnome pulling a snowman friend on a sled or an ice skating version. 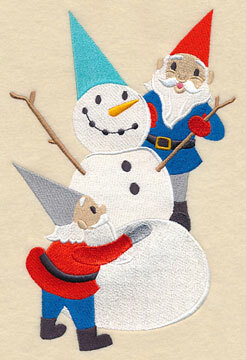 7.45" x 5.86" and 6.18" x 4.85" and 3.86" x 3.04"
Add these whimsical winter pals to your next project! Order them individually using the links above, or get them all in a design pack. Icy hues in blue, lavender, and mint green give these Scandinavian panels frosty flair. 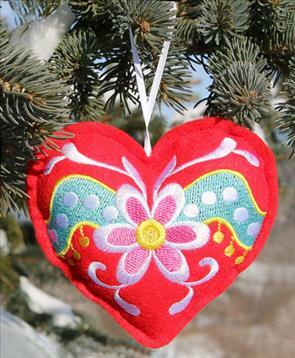 Use to decorate your home for winter! 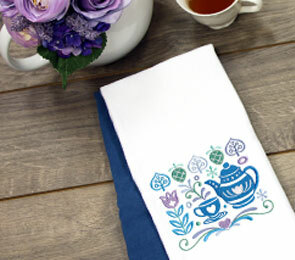 7.81" x 6.45" and 7.09" x 5.86"
5.88" x 4.86" and 3.87" x 3.20"
Set out this kitchen towel with a pot of tea at your next get-together. 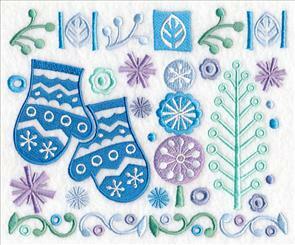 Add these warm and cozy designs to the bottom of scarves, the front of a tote bag, or even on a sweatshirt! 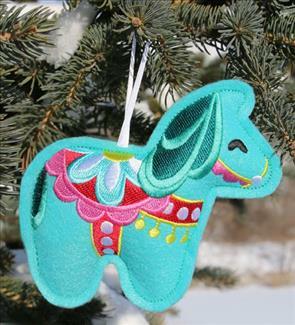 7.81" x 6.41" and 7.14" x 5.86"
7.81" x 6.46" and 7.07" x 5.86"
5.87" x 4.86" and 3.86" x 3.20"
Add a whimsical, wonderful look to your next project with arctic animal scenes. 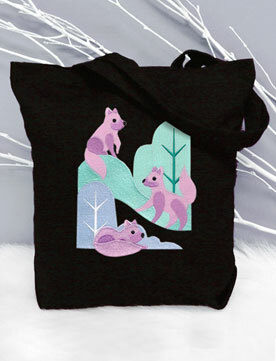 Each features a classic winter animal and stuns on pillows, totes, and more. 6.85" x 8.42" and 5.86" x 7.20"
4.86" x 5.97" and 3.16" x 3.89"
The light colors in this design pop against the dark black of this tote bag. 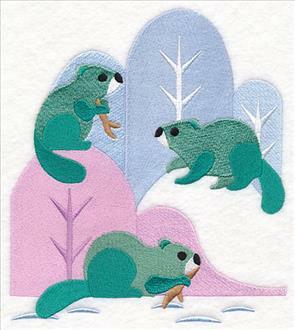 Foxes, beavers, and lynx are a great way to celebrate winter wildlife in your home! 6.86" x 7.73" and 5.86" x 6.61"
6.86" x 9.19" and 5.82" x 7.80"
4.87" x 6.53" and 2.88" x 3.85"
The Wrapped Up in Winter designs are ever-popular -- stitch for the snowiest season with designs featuring polar animals wrapped in the classic oversize scarves. 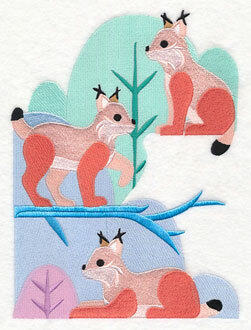 Six new versions are available now -- a polar bear, arctic fox, moose, wolf, lynx, and beaver. 11.00" x 4.79" and 9.39" x 4.09"
11.00" x 4.99" and 9.38" x 4.26"
7.80" x 3.53" and 6.86" x 3.11"
11.00" x 5.65" and 9.41" x 4.83"
11.01" x 5.33" and 9.40" x 4.56"
7.81" x 3.78" and 6.85" x 3.32"
11.01" x 4.87" and 9.41" x 4.16"
11.01" x 4.23" and 9.41" x 3.61"
7.80" x 3.00" and 6.85" x 2.63"
The Dala horse is a traditional carved and painted wooden horse statue from Sweden. 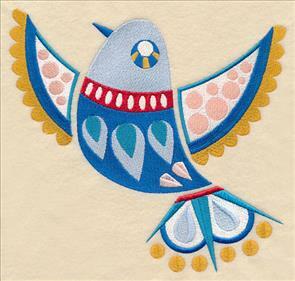 Add this classic Swedish symbol (as well as a bird and heart version, too!) 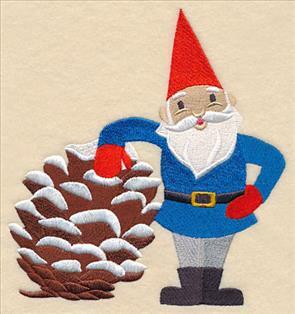 to your home this winter. 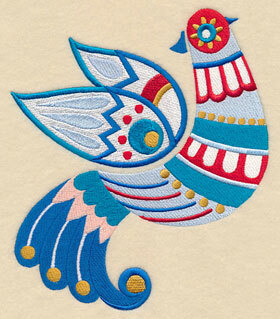 See how to stitch and assemble the in-the-hoop designs here. 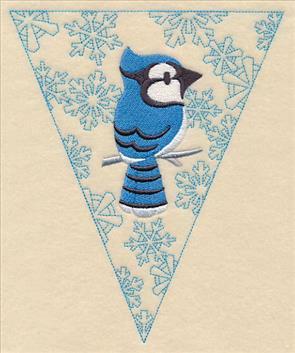 5.47" x 4.13" and 3.85" x 2.91"
4.85" x 4.30" and 3.85" x 3.41"
Joyce wanted to create a bunting featuring winter designs -- what a great idea! 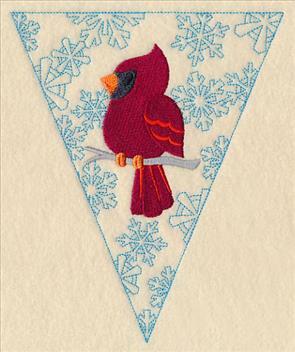 These four different bunting designs are the perfect way to decorate for winter. 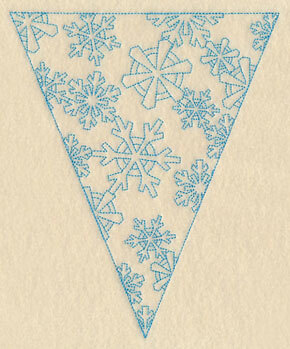 See how to create bunting from these designs in this tutorial. 5.85" x 7.06" and 4.85" x 5.85" and 3.19" x 3.85"